Four teams from the Army Cadet Force and Combined Cadet Force competed against nine St John Ambulance cadet teams at the national St John Ambulance National Competitions in Gloucester on 11 October. All of the teams taking part had won their places against stiff competition in regional contests, winning the honour of representing their region at the national event. During the day the cadets took part in a team test in pairs and two individual tests. 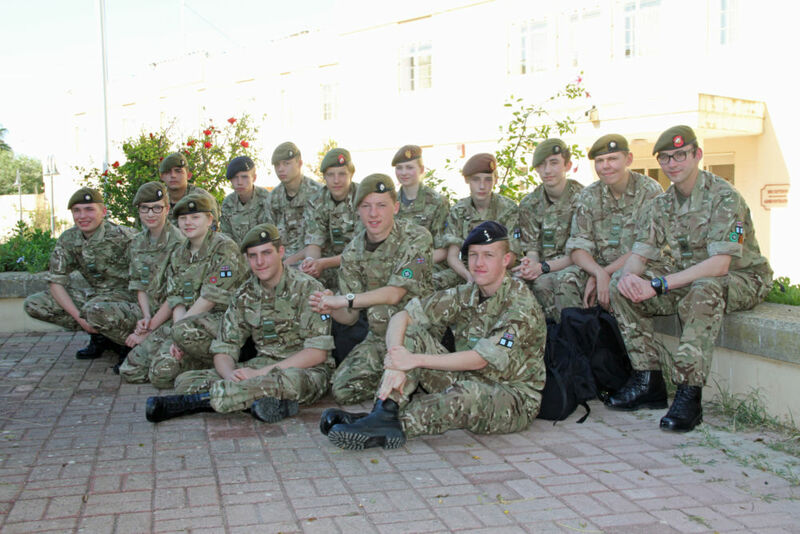 The cadet forces teams triumphed in the team tests with first and second places and three cadet teams in the top five (Gloucester ACF (1st), Dollar Academy CCF (2nd) and Durham ACF (5th)). In the overall (team and individual test) results the South Bristol St John Ambulance cadets won first place by just one point from Dollar Academy CCF and Durham ACF was the top scoring ACF team securing an impressive fifth overall. Despite being a new team that had not competed at this level before, Gloucestershire ACF finished a very creditable eighth place overall ahead of three St John Ambulance cadet regional teams. Following the event Durham ACF was presented with two trophies from the former Young Grand Prior competition, including the Jill Scott Trophy (previously the Young Grand Prior Trophy) they won at the Inter Services competition in September. Prizes were presented by Colonel Nick Williams, Chairman of NW RFCA, the Chief President of St John Ambulance, and Lieutenant General Louis Lillywhite, former Surgeon General and now Chief Medical Officer of St John Ambulance. Lieutenant Colonel Alan Sharkey, ACFA’s first aid advisor, said “These impressive results prove that cadet force first aid training is of as high a standard as St John Ambulance and our cadets excel in team skills”.